Today’s Pay it Forward post is a little different than some of my past posts, as it is not a charity but an incredible social movement. 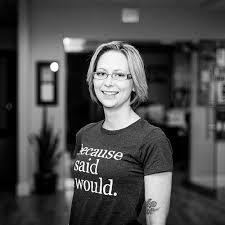 Introduced to me by my friend Nasreen, the idea behind Because I Said I Would is quite simple: people across the world are writing promises down on little while cards and keeping their promises simply because they said they would. 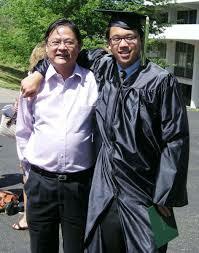 On September 4th, 2012, Alex Sheen’s father died of small cell lung cancer. At his funeral, Alex delivered the eulogy. In trying to remember his father by the fact that he always kept his promises, Alex came up with the idea of promise cards. 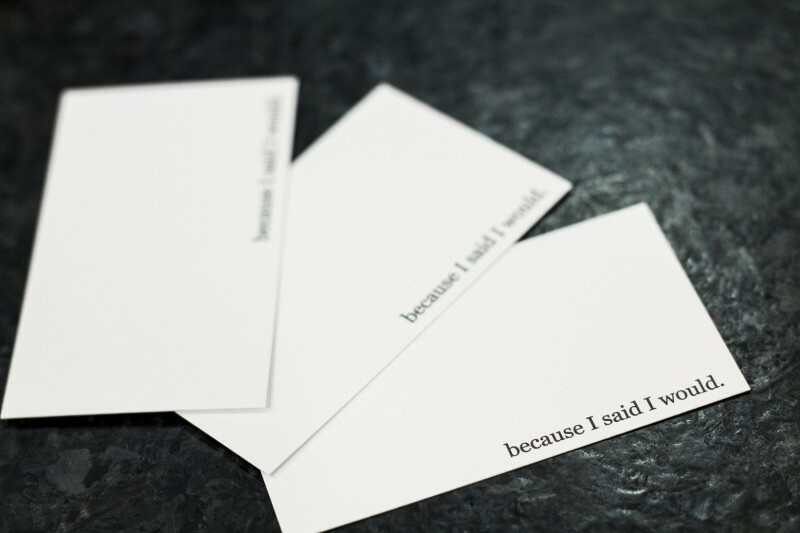 The cards were blank in the front except for the bottom right corner on which “because I said I would” was printed. After the funeral, Alex began a Facebook page where he promised to mail 10 cards for free anywhere in the world to whomever wanted them. In the first 18 months of the campaign, Alex and some volunteers mailed out over 1.7 Million promise cards to over 105 different countries. On June 22, 2014, one year after that fateful accident that killed Vincent Canzani, Alex Sheen, stood outside a bar and offered drunk people rides home. He also offered to safely drive them back to their cars the next morning. He did this in honour of Vincent Canzani and accepted no money or tips. One woman left $30 behind which was donated to Mother’s Against Drunk Driving. Because I Said I Would is a social movement taking place on Facebook, Twitter and Instagram. You can join in by simply making and keeping your own promises in honour of Alex Sheen’s father and all the people who taught you it is important to be a good person. You can also follow along on Alex Sheen’s blog as he fulfills a promise he made at the start of 2014 to volunteer with 52 organizations this year. Want to Help Keep the Movement Going? Because I Said I Would will be hosting an inaugural event on September 6, 2014 in Columbus, Ohio. The purpose of the event is to bring together non-profits, speakers who have become part of Because I Said I Would as well as people just like you and me who are able to volunteer across the world to help the non-profits. Because I Said I Would has invited 30 nonprofit organizations to host booths recruiting volunteers and hopes to register commitments for over 15,000 hours of volunteer service at the event. 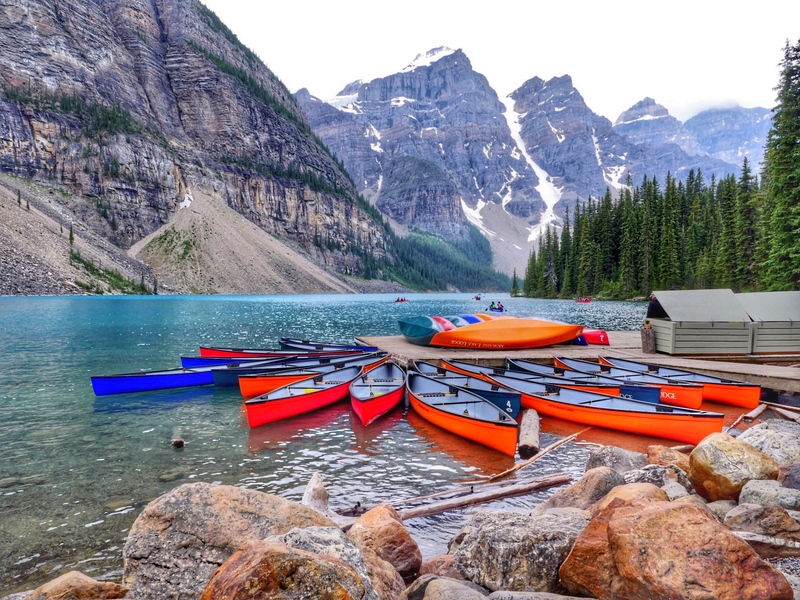 In honour of today’s post I promise to continue dedicating each Friday on my blog to non-profits and charities that benefit from social media promotion. Each Friday as I introduce you to another charity, know that I am doing so because I said I would. Photo Credit: All photos for this post are credited to becauseisaidiwould.com.